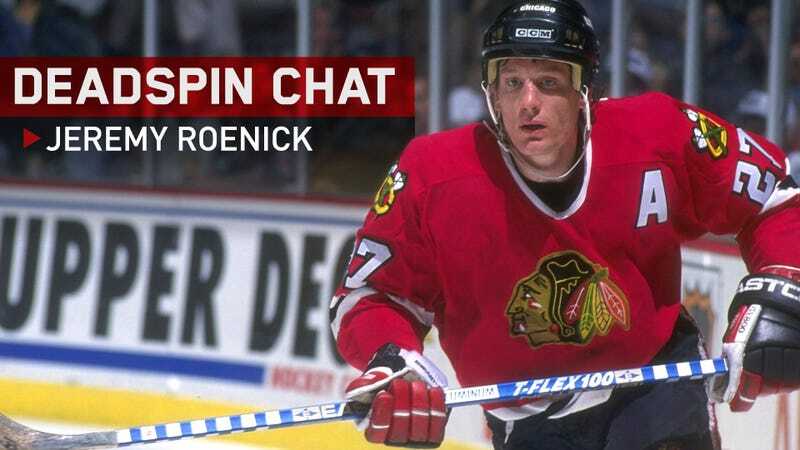 Jeremy Roenick scored 513 goals in his 18 NHL seasons with the Blackhawks, Coyotes, Flyers, Kings, and Sharks. (You will recall, since it's not so active at present, the NHL is an occasionally operational professional league in which rich men compensate other men to play hockey.) Roenick retired in 2009. Now he works on NBC, where he and Mike Millbury periodically yell at each other. He is the author, with Kevin Allen, of a new book, J.R.: My Life as the Most Outspoken, Fearless, and Hard-Hitting Man in Hockey, which we'll excerpt later this week. For now, J.R.'s down there in the comments awaiting you. Fire away. Update (2:45 p.m.): Roenick's done—man's got places to be. Thanks for your questions.